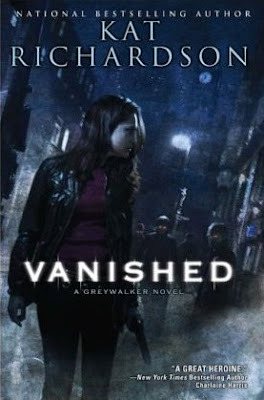 Cover art for Vanished the fourth Greywalker book by Kat Richardson. Available for preorder at Amazon to be released August 4th 2009. Just caught this over at Tez Says blog. That's a long time to wait. Sigh. No problem! Thanks for dropping by. 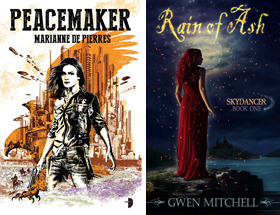 That cover is great...I have Underground on my bookshelf (haven't read it yet) ..I have a few books that I need to read that are sitting on my shelf. April 2009, that is a long wait! very long time. i love kat's books. Tanya once you've had a chance to read, let me know what you think. Hey hagelrat KAt is always on my preorder list. Kimberley don't know whether Kat has a say in her covers but I agree hers match the flavour of the stories really well. Hey Thea once you've tried them you won't be able to give them up.